I have been to Hakodate a few times in the past. 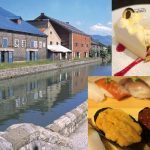 In this page, I will introduce everything through my experience so you can have the best Hakodate night view sightseeing experience to satisfy your desire! 1-1. 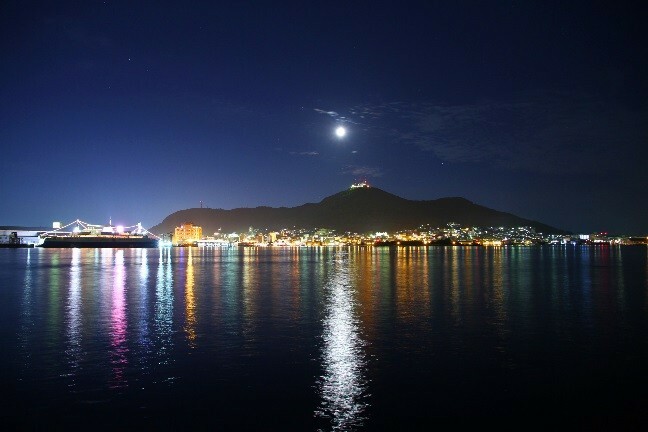 What is the night view of Mount Hakodate? It is a famous night view spot, which is called “The million dollar view.” In the view from 334m elevation, Tsugaru Channel on the left and Hakotade Bay on the right spread from the cityscape in warm glow. Many tourists visit every day to check out the romantic night view. There are two ways to go see the night view. 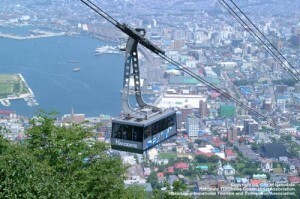 One way is to take the ropeway to the mountaintop. Another way is to get to the mountaintop via public transportation or a tour bus. It normally runs every 10 minutes, and the ride is 3 minutes. It runs every five minutes when crowded. Because of this, you almost never have to wait for a long time. Also, the view can be enjoyed while going up. There are two observation decks at Mount Hakodate – one indoor and one outdoor. During the warm season from May to September, both outdoor and indoor observation decks get busy with many visitors. On the other hand, the outdoor deck is less crowded during the winter months of October – April, so you can bundle up and enjoy the night view in peace. 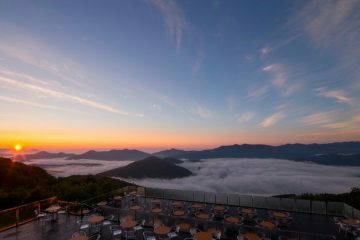 For those who want to do this, I recommend the very popular restaurant “Genova” located on the second floor of the Mount Hakodate observation deck. 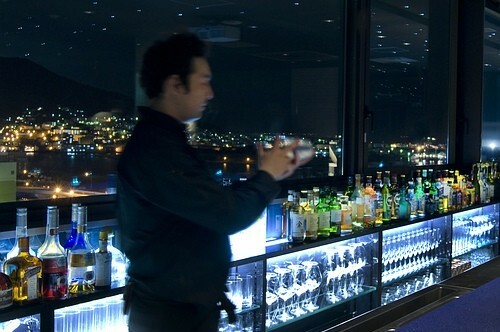 You can enjoy dinner at the mountaintop of Mount Hakodate while looking at the famous night view. However, window seats reservation is limited to dinner course, and there are only three parties per day. 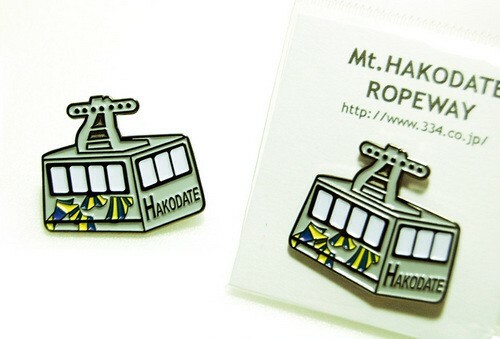 There are souvenir shops at the Sanroku Station and Mountaintop Station of the ropeway. They sell original items that can only be purchased at these souvenir shops. Don’t you think it is romantic if such word was hidden in the night view? There is a lovely legend that says if you find these letters, you will be together with the person that you saw these letters with and your wish will come true. So, where are such letters hidden in the night view? 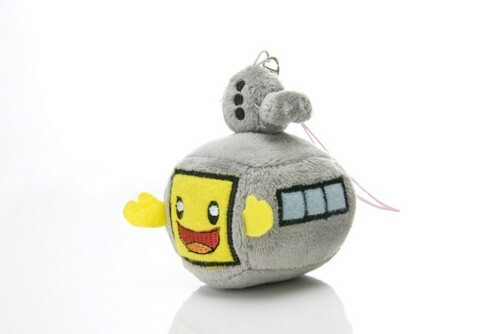 The hint is the photo below. I traced the “ハート” part with blue lines. 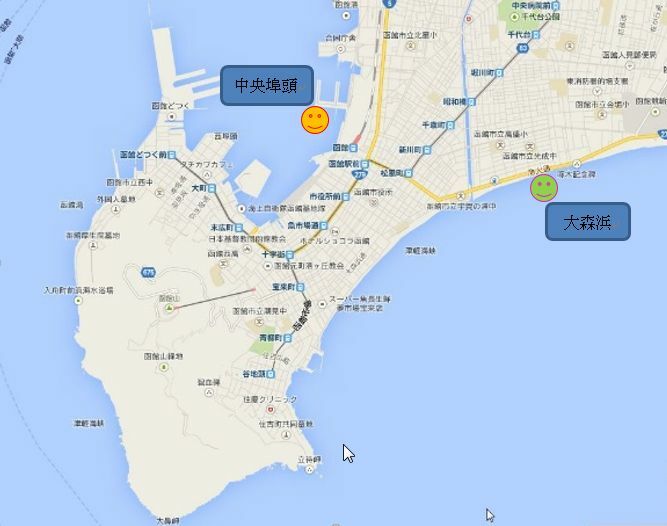 Refer to this image when you are looking for the letters in Hakodate. 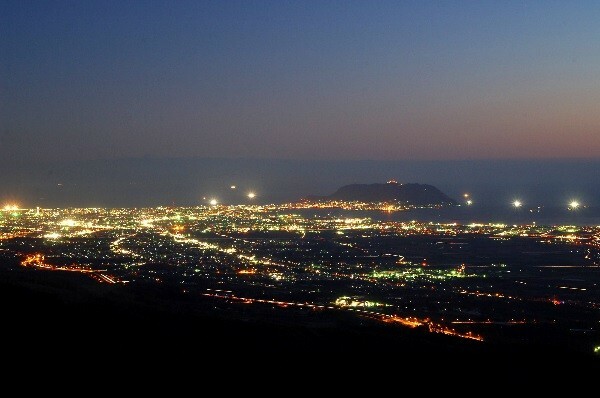 Mount Hakodate is not the only place where you can enjoy the night view. 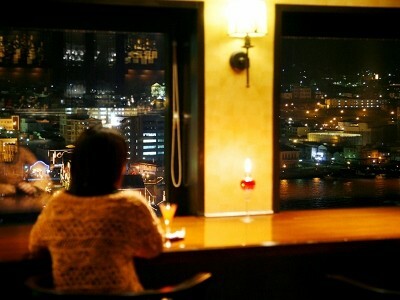 I recommend bars and restaurants, if you want to relax and enjoy the night view without worrying about other tourists. “La Vista Hakodate” is a high-rise hotel located at Hakodate Bay. 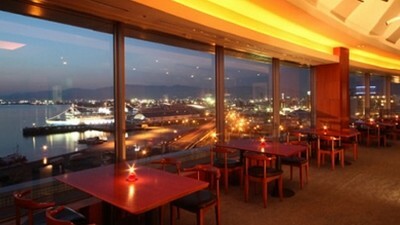 The night view of the bay area and Mount Hakodate can be enjoyed with an original cocktail from “Shelly’s Bar” on the 12th floor. There is a chic atmosphere inside of the bar. Two chairs are paired facing toward the window. They are perfect for staging a romantic time for couples or husband and wife. The atmosphere gets much better late at night. It is a stylish bar that incorporates LED lighting and projection mapping. The spacious store has a good atmosphere. The business hours are on the earlier side as a bar, and it opens at 18:00. During late sunset season, you can enjoy Hakodate in gradually changing colors from dusk to night. The counter seats that line up facing Mount Hakodate are the most popular, but they can be reserved. Be sure to make a reservation for an important day or when you want to enjoy the mood. You can overlook from Hakodate Bay to Mount Hakodate through the window, and there is a sense of openness. There are original cocktails that can be enjoyed in different seasons and events. There is no cover charge, so you can even enjoy the bar casually by yourself. 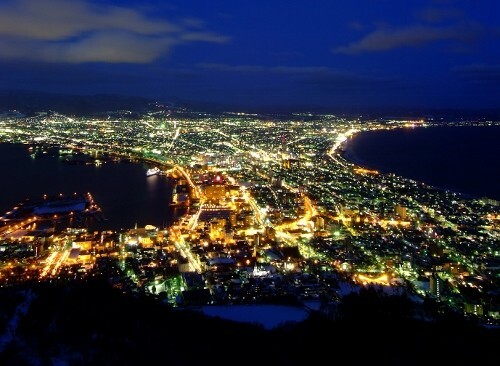 The frontal night view looking over downtown Hakodate from Mount Hakodate is the classic view. However, the “Back night view” looking over the direction of Mount Hakodate from the other side of town is secretly popular as well. 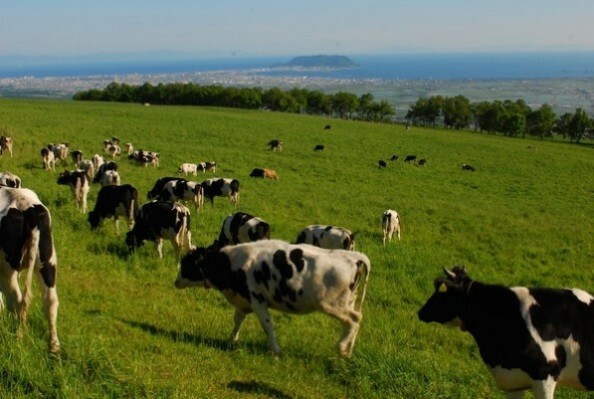 Shirotai Farm in Nanae-cho, which is next to Hakodate City, is about a 30-minute drive from downtown Hakodate. 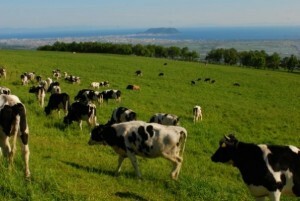 Cattle are grazing, and the relaxed atmosphere with greenery creates the charm of Hokkaido. Indoor observation deck was newly constructed in 2012. Note the business hours and open seasons for the observation deck are limited, unlike Mount Hakodate. 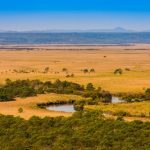 Shirotai Farm Observation Deck can be accessed via Shirotai Sky Line. 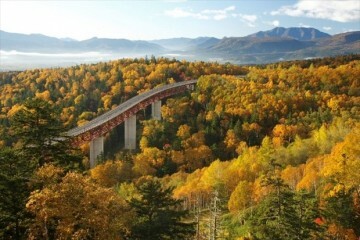 However, the road is closed during winter season from late October to early May. There is a 30-car free parking lot in front of the observation deck that can be used anytime. 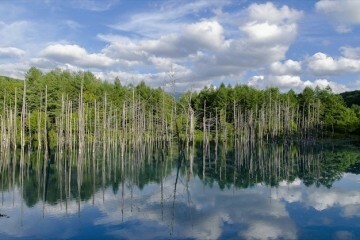 It might be nice to stop by after sightseeing around Onuma Quasi-National Park during summer season. 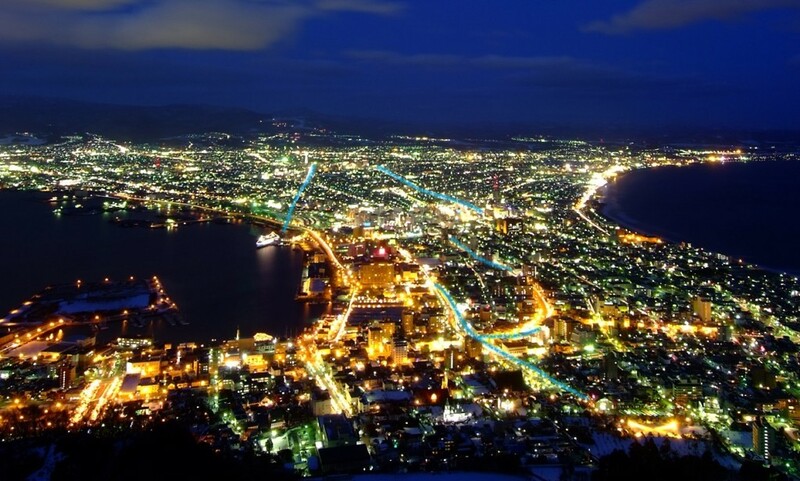 The night view of Hakodate can be enjoyed from various angles. Next, I will introduce best-kept secret spots that will make you a Hakodate expert. 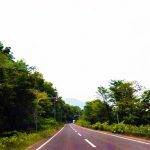 Head to Chuo-futo from JR Hakodate Station on National Route 5 toward Onuma. It is a best-kept secret night view spot about 10 minutes from Hakodate Station. It is a fishing spot visited by fishermen during the day for sardine and mackerel, but after sunset, the romantic mood heightens as the downtown shines with Mount Hakodate in the back. 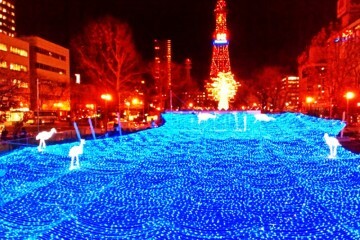 Seikan renraku-sen and Mashumaru give an accent to the lit up night view. There are parking spaces available. 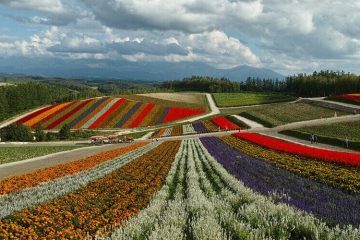 Unlike the popular spots, there are not too many people, so it is recommended for couples that want to see the view quietly. Omori beach extends from Mount Hakodate to the direction of Yunokawa Onsen, facing Tsugaru Channel. There is “Takuboku Sho Koen (Takuboku Mini Park)” on the way to Yunokawa Onsen where the statue of Ishikawa Takuboku stands, and it is a good location around there. There is a camera setup table, and you can set the timer and take a selfie with Takuboku. 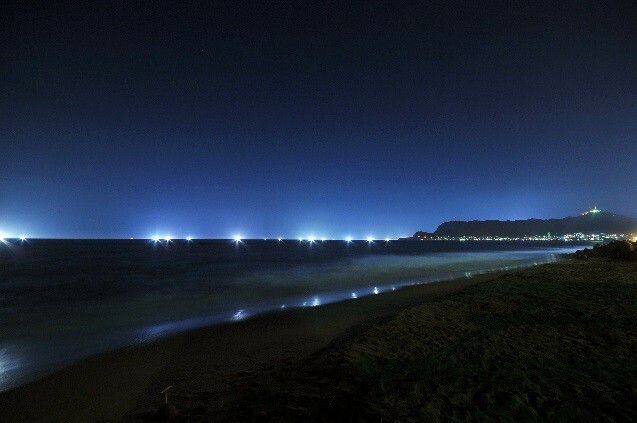 Also, you can see the countless fishing lights for squid fishing in Tsugaru Channel during the busiest season from summer to fall. You can sit on the beach while looking at the sunset during warm summer season, enjoy the shining night view, and feel the sea breeze while having a relaxing conversation. 4. How to fully enjoy the night view! Recommended season No.1 is winter (December – March). The biggest charm of winter night view is the competition between snow light and night view, which is limited to this season. The outdoor lighting and neon lights get reflected on the snow, increasing the shine even more. It is the best night view that cannot be seen in other seasons. Other seasons also show their seasonal charms. The next recommended season is fall (October – November). There are many sunny days in the fall and the air is clear. So you can see far away and enjoy a dynamic night view. Although spring and summer fall short of the vividness of winter and fall, you can sometimes see a magical night view between a sea of clouds and mist. Also, the mild climate of spring and summer is recommended for those who cannot tolerate the cold. 4-2. What are the optimal hours? The best time is 20 – 30 minutes after the sunset time! Standby from the sunset time and spend 30 minutes while enjoying the view of downtown in dusk as it gets lit up. At best time, the city lights glow superb shine under the dark navy sky. 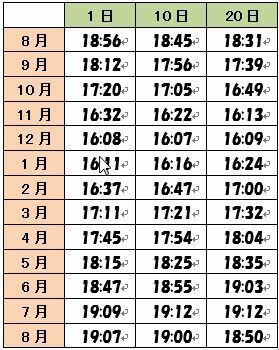 Refer to this table in which I wrote down the sunset time of Hakodate (August 2014 – August 2015 edition). 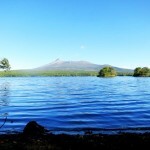 If you are going to Mount Hakodate, the regular tour bus is easy, economical, and convenient. The often used and reasonably priced is the Hokuto Kotsu “Mt. 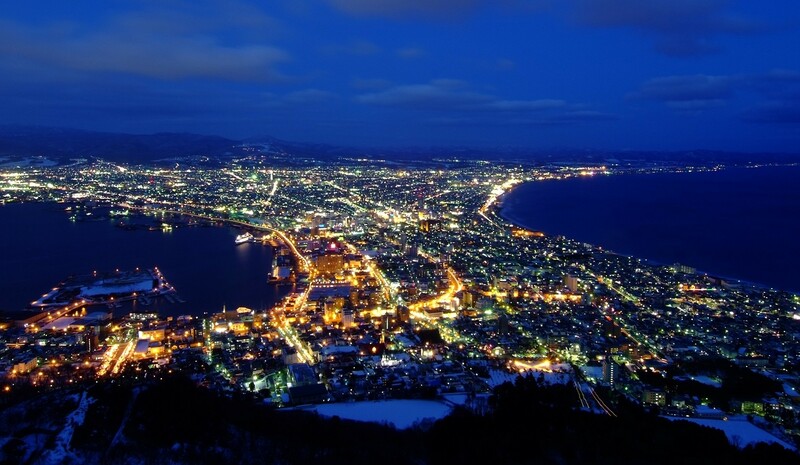 Hakodate Night View Romance Course.” The bus comes to major hotels in Hakodate and Yunokawa areas to pick you up, and the tour guide tells you the history and trivia of Mount Hakodate. 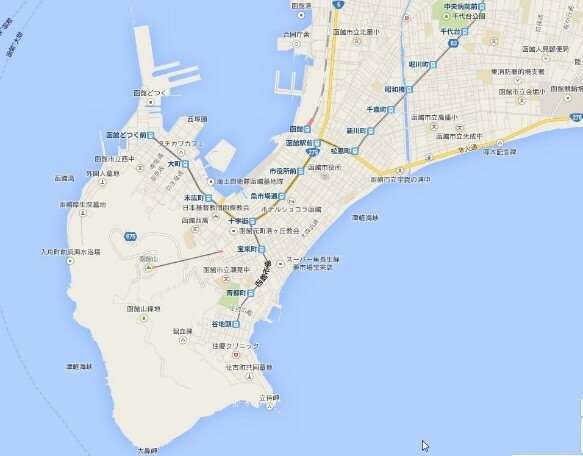 There are Yunokawa route and Hakodate route, but both require reservation. Make a reservation early, if you want to check it out. The low temperature from December to March is from -3 to -6ºC. 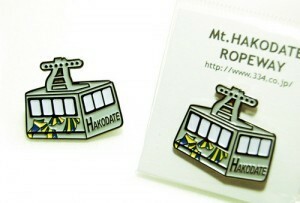 There is an observation deck on top of Mount Hakodate, and you can enjoy the view from a warm, heated room. However, good photos cannot be taken from indoors because of the reflection of the glass window. If you want to enjoy a spectacular night view, you definitely should go outside, but the winter cold is brutal. It is essential to wear things that do not let wind go through from head to toe. Do not expose skin. It is a tip for enjoying the best night view observation without ruining it by being cold. There are minimum lightings outside of the observation deck, but it is dark. Watch your step and enjoy the night view. Especially during wintertime, the outside tends to freeze and get slippery, even if it is flat. Black surfaces with no snow are often very slippery like a skating rink. If you are not used to Hokkaido during winter, you might want to prepare shoe slip stoppers.